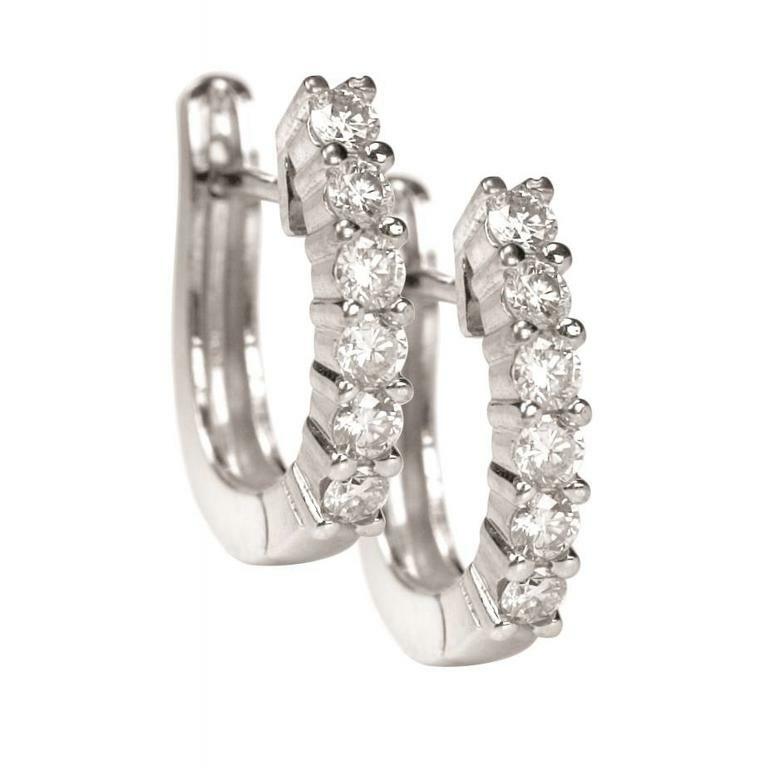 Ladies diamond hoop earrings of classic styling crafted in 14k white gold. The earrings are set with a total of 12 round brilliant cut diamonds, of equal size, that are shared claw set down the front. 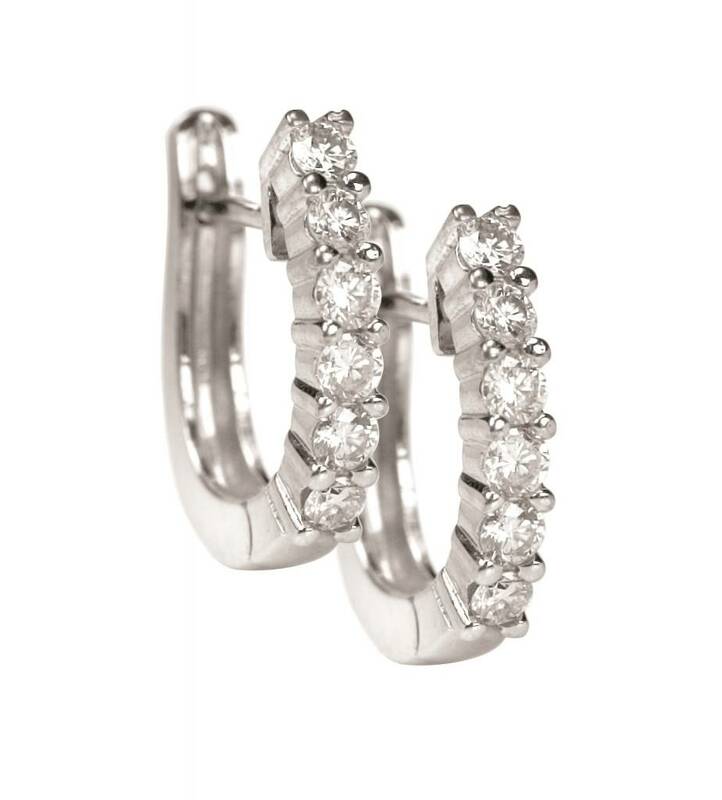 The earrings secure with posts and omega backs.